Just a month after one of its lead anchors, Erwin Tulfo, got involved in the P60-million tourism advertisement controversy, PTV4 has quietly reshuffled its anchor lineup. 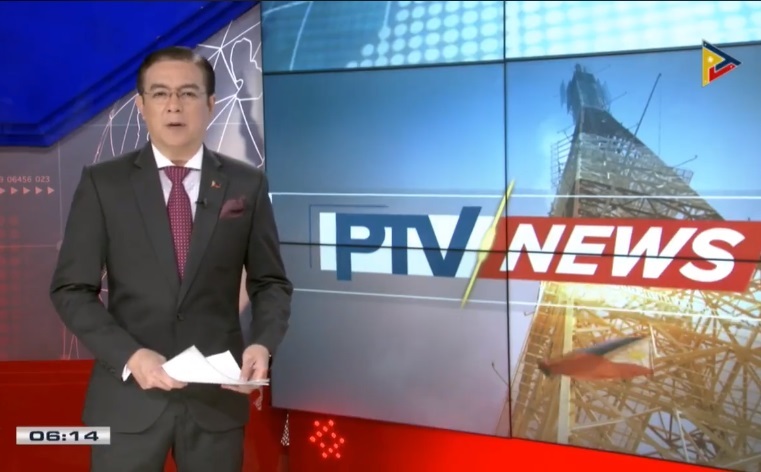 On Monday, the state-run TV network officially introduced the tandem of Alex Santos and Catherine Vital as the new faces of its flagship newscast PTV News, replacing Tulfo and Diane Querrer. Querrer, who also hosts Bagong Pilipinas, will now be returning to Daily Info, which she will be co-anchoring with Audrey Corriceta. Also reassigned to their new posts are Aljo Bendijo and Angelique Lazo, who will both be anchoring the afternoon newscast Sentro Balita. The changing of the guards at PTV News is not entirely unexpected after People's Television Network parted ways with Tulfo in May following the release of the Commission on Audit (COA) report — which said that the transaction between the Department of Tourism and Bitag Media Unlimited Inc. were not supported by proper documents — and his offensive on-air remark against one of its longtime talents, Jules Guiang.